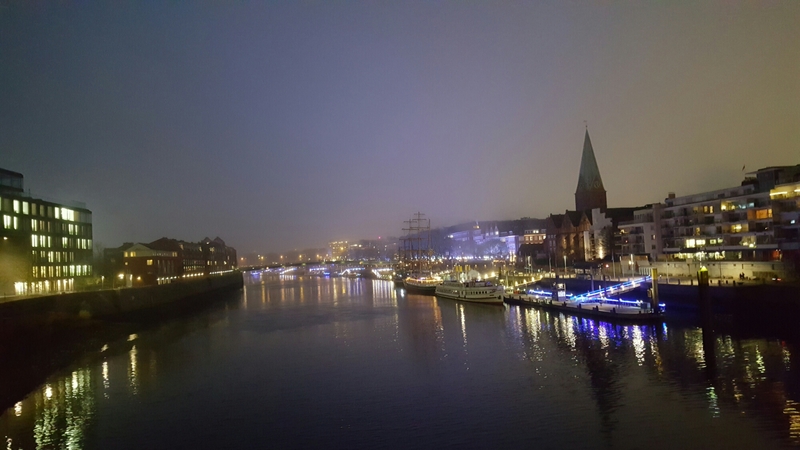 Shot yesterday on a bridge over the river Weser with view on the christmas market and the Alexander von Humboldt (the ship from the Becks TV commercial). As you can see it was a beautiful color compilation with the fog and the mirrowing of the lights on the water. Da bin ich auch oft langgegangen. Letztes Mal – lange her – waren lauter rätselhaft fremde Sprachen zu hören.